My name is Mwalimu Wesley Kabaila, and I am currently Chief of Staff for the Congresses of the Friends of the African Union (FAU), and Chair, Congress of African People. I am writing you because your name has been submitted as a potential nominee/candidate for the formation in progress of a National Africana/Black Council of Elder for the National African American Community. Since the Emancipation Proclamation of 1863 African descendants of the Slave Trade have lacked viable and credentialed leadership cadre, chosen by them to represent their diverse interests or to negotiate with the U.S. Government, or other responsible entities, terms or conditions of Atonement for the greatest Holocaust and genocide in human history. Given the numerous rationales we might conceive, among which are the suppression of Reconstruction, no 40 acres and a mule, mass lynchings, lockouts by unions, no voting rights, mass incarcerations, police abuse and murder, in and out of jail, red lining, gerrymandering, disrespect for the First Black President and his family, institutional racism, and systematic disenfranchisement of Black Communities nation-wide. Therefore, we, as a National Community, seek remedies based on our Universal Right to Self Determination, i.e. to determine our own destiny as a free people. Many of our leaders in the past have been charismatic, and though effective in their own right, our enemies have devised means to either, legally, financially, physically or character assassinate them, or otherwise mitigating their forward progress. We have seen this with Marcus Garvey, Malcolm X, MLK, Fannie Lou Hamer and Paul Robeson, just to name a few. Thus, we have learned to draw on paradigms and governance systems from our African history, such as Mbongi, as practiced among the Bantu people. Since November, 2015 the Friends of the African Union has been holding organizing conference calls in pursuit of the formation of a National Africana/Black Council of Elders, for which your name has been placed in nomination. In 2011, the General Assembly of the UN recognized it as the International Year for People of African Descent (IYPAD), and later expanded to the International Decade for People of African Descent. Many Circles recognize this time period as the Era of African Renaissance or Rebirth. In 2014, the African Union (AU) officially recognized all African Descendant peoples outside the continent as making up the 6th Region of the AU, it’s Diaspora. The Diaspora was mandated by the AU to organize itself, in order to engage with the AU processes. The nations of the Caribbean have established an organization named CARICOM. 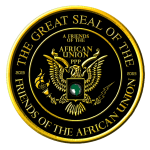 The Friends of the African Union has taken on the responsibility of organizing the many and diverse sectors of the African American Community into a National Black Council of Elders (NBCOE), which when formed, would also have the responsibility of organizing an African American Congress with representatives from each sector of the AA community. The FAU has also been in pursuit of a Diaspora Unity Movement and structure in the form of a Commonwealth, in addition to the reformation and restructuring of the Fihankra Tribe designated for diasporans in 1994 in Ghana, West Africa. In short, the National Africana Council of Elders will serve as a Collective Leadership and Governance body for the National African American Community, with the expressed mandate to develop policy, programs and projects which will result in the economic empowerment of each sector of our community, and to pursue, with tenacity, the righteous interests of all of our people. As we have been admonished in his book, “Black Africa”, Dr. Cheik Ante Diop instructs that we must find a unifying ideology for Pan African Unity, and it is our contention the foundation for such is to be found in the Virtues of Ma’at (Maat or Ma’at was the ancient Egyptian concept of truth, balance, order, harmony, law, morality, and justice) and the Nguzo Saba (7 Principles of Kwanzaa). In order to take this Movement to the next level, we only need the commitment and vision of those like yourself, to embark on this Journey of Restoration and Rebirth of African people in general, and African Americans in particular. If you are willing to accept this nomination to become a candidate for the National Black/Africana Council of Elders, the kindness of a reply, within 14 days, would be most welcomed and needed for further processing, and notification of the African-American Community, nation-wide, via Black-owned multi-media outlets. We also request a short Bio. or Resume, along with a current picture, for the purposes of our records and media campaign. Should you accept this invitation, please become familiar with the Orientation Outline which accompanies the Invitation Letter. We ask that you accept, in writing via REPLY to this email; capcouncilofelders@gmail.com. We thank you for your time and attention. Should you have any questions, please contact me via the email, website or phone, all of which are listed below. Or you may email us at capcouncilofelders@gmail.com.